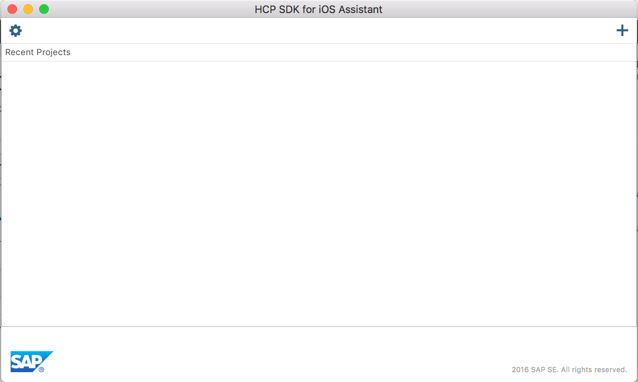 Welcome to Part4 – HCPSDKforiOSAssistant. 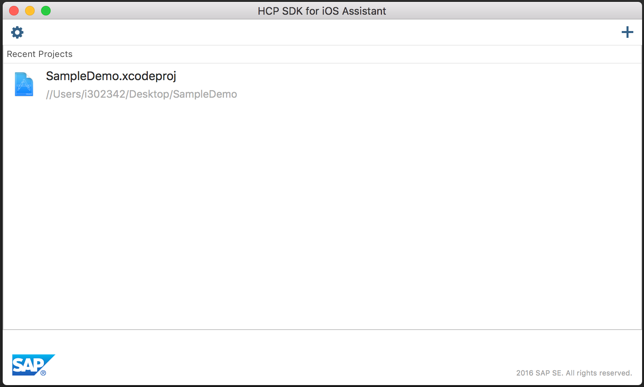 HCPSDKforiOSAssistant is an application Mac machine, which will be used to create the Xcode project along with proxy classes. What is proxy class: Proxy class is a swift class and its blueprint of a Collection. 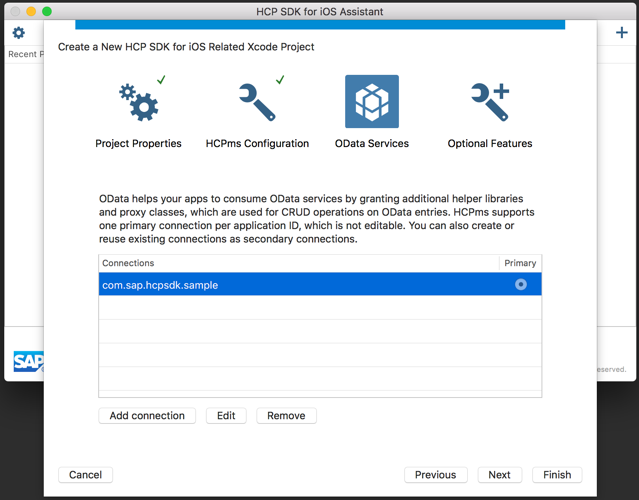 For ex: if oDATA URL has 5 collections, then HCPSDKforiOSAssistant will create 5 swift classes for each collection. This proxy class has all the variables, attributes and methods. Developer do not need to spend time on defining the classes. This class will saves the developer time, so s/he can focus business logic. 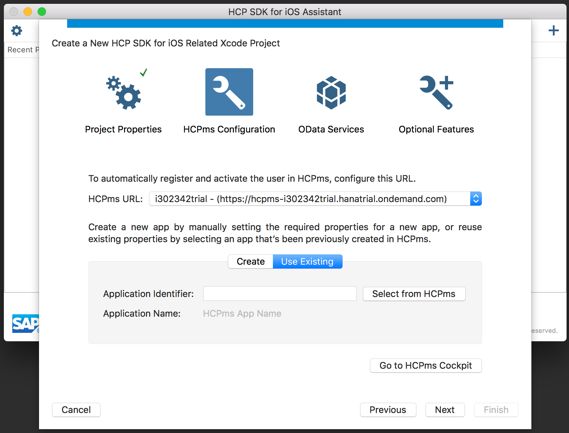 Now, lets look at how to create the Xcode project using HCPSDKforiOSAssistant. 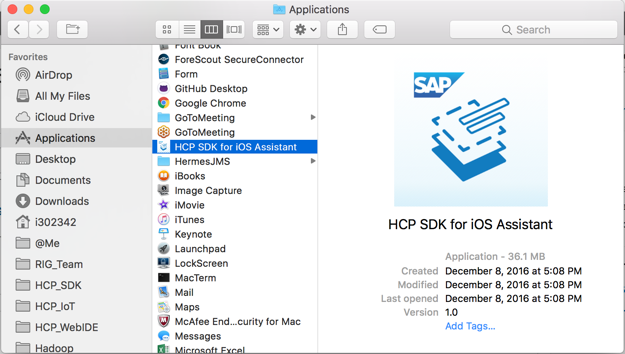 Open HCP SDK for iOS Assistant on mac machine, which must be inside the Applications folder. Click on Open if you get this popup. 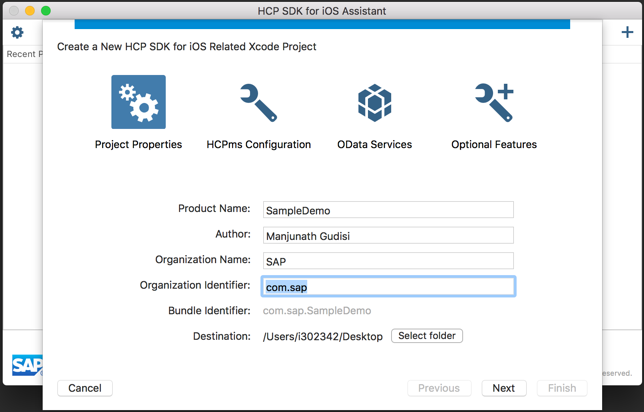 The HCP SDK for iOS Assistant is opened now. We will test the settings once again. 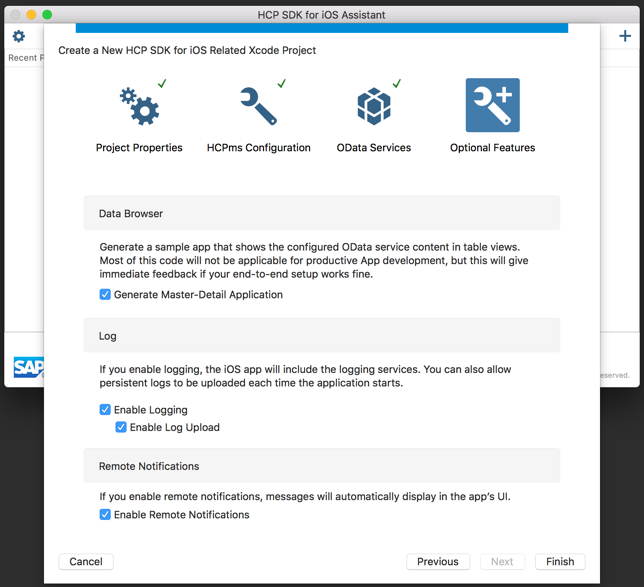 Select the your C/I/D instance from the list. Make sure the path is pointing to the correct folder. 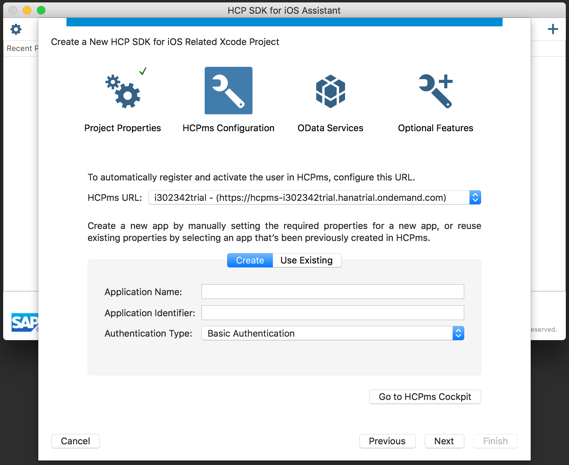 We will now create the Xcode project. Click on + button on right side. Destination folder where the project will be created. 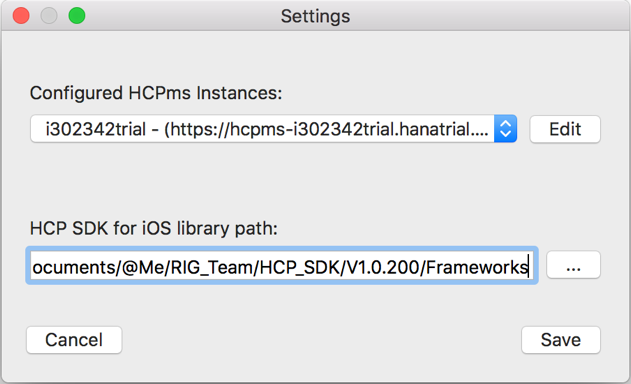 Click on Select from HCPms. 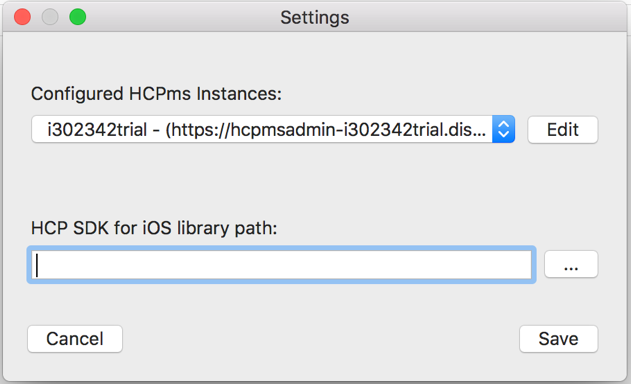 You would see the list of app configurations that you would have configured in your HCPms account on HCPms admin portal. And then, click on Next button to go to Tab3. 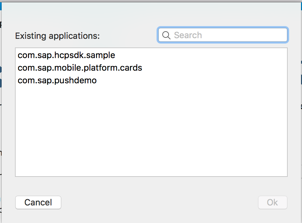 It should list out com.sap.hcpsdk.sample app configuration automatically under Connections. 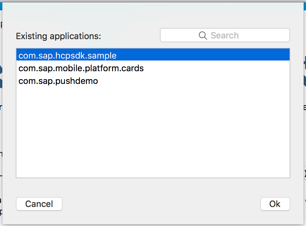 Select com.sap.hcpsdk.sample from the list. Lets have default selections as it is. Do not change anything. 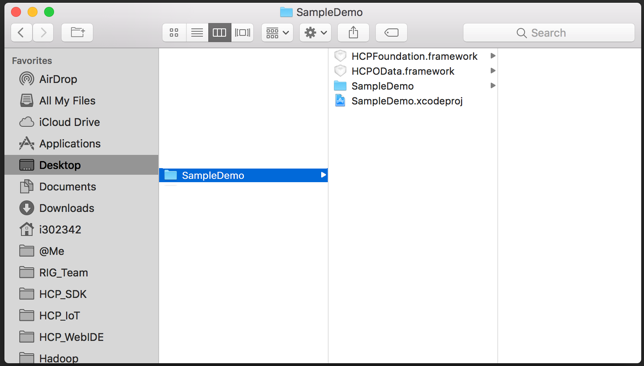 The Assistant will create the Xcode project on Desktop with foldername as SampleDemo. 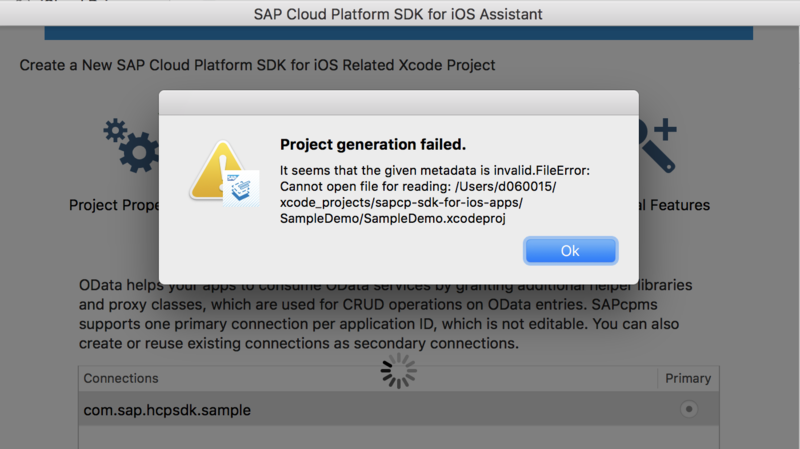 We have created the Xcode project successfully. We will run the app on simulator in the next blog. 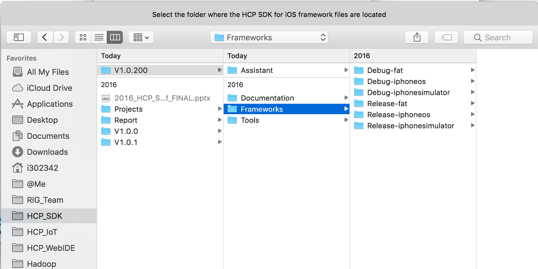 Thanks for sharing this blog on the sdk, its useful to get started. It says few pre-reqs are missing. 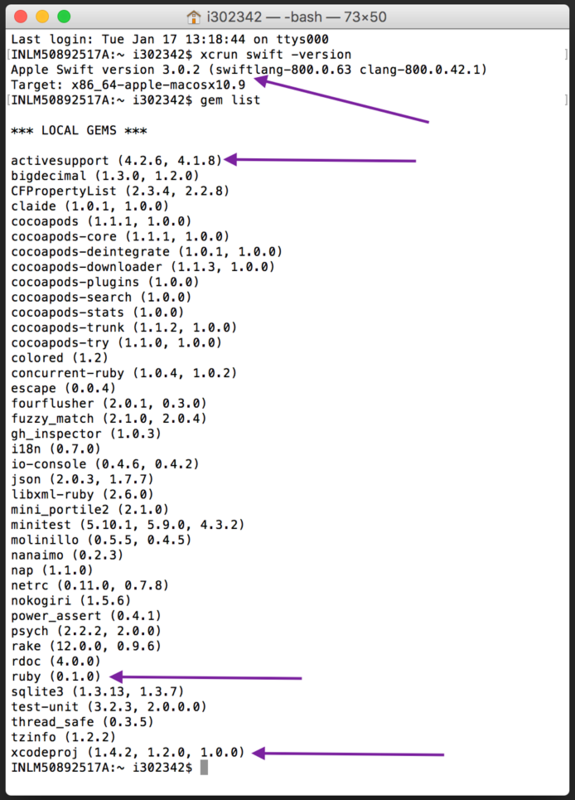 I have installed JDK 8, gem activesupport 4.1.8 & gem xcodeproj 1.2.0 are installed. Am I missing some other pre-reqs? When I copy the project to another folder, I can open it successfully. Please make sure you have the below mentioned softwares with correct versions.